Geese keep flying north past my house, so in honor of Mother Goose…yadda yadda yadda, let’s get to the food! 1. 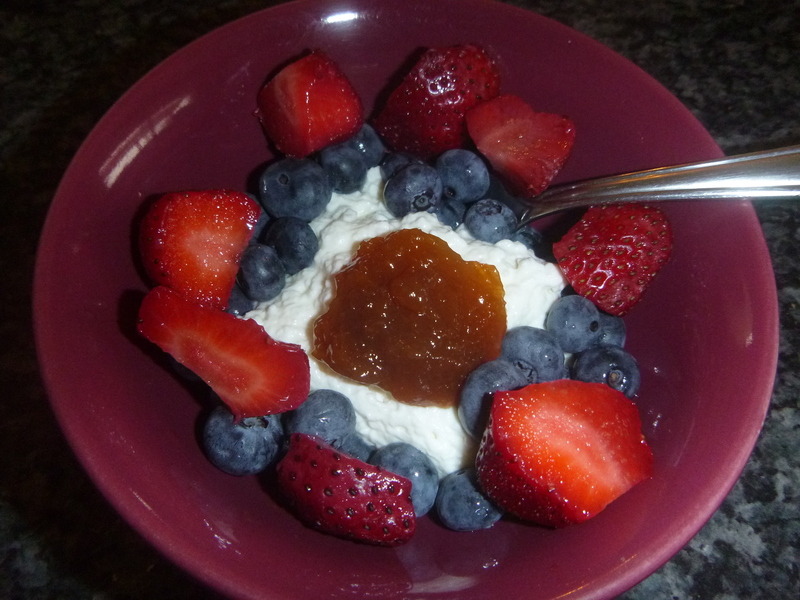 The Creamy: 1/3 cup of cottage cheese, a teaspoon of jam, and some berries. To make cottage cheese, a chemical called rennin is added to milk and the proteins either clump together (curds) or stay liquid (whey). Since we’re eating our curds and whey, I call it the Little Miss Muffet. 3. 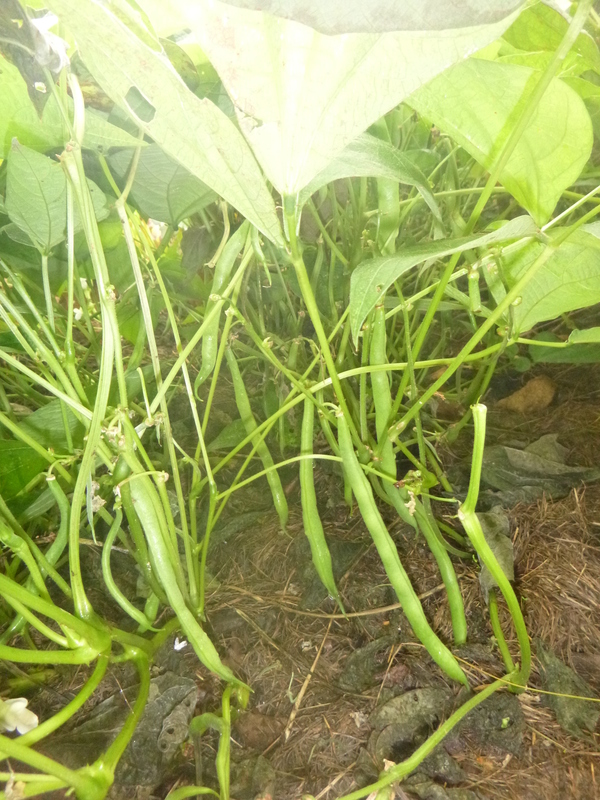 The Vegetative: A peck of (non) pickled peppers. 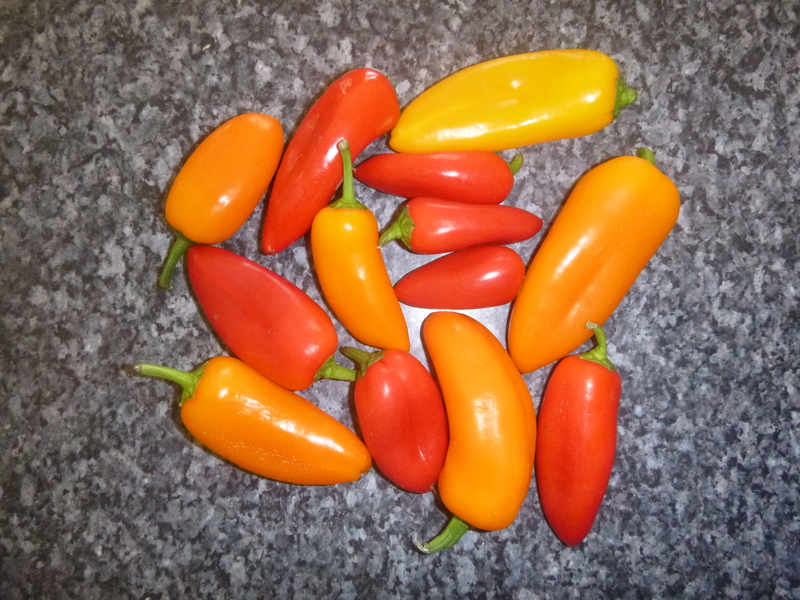 Or about a dozen small sweet peppers if you’re counting. I call it the Peter Piper. Pick yourself a peck and happy munching! I’m a pretty good loser, but with help, I’m a great loser. Help can be an app, a website, a book, an accountability partner, a support group, or a lock on the fridge. For me, it was Loseit.com. When I first started losing weight, I didn’t want help. Don’t give me a list of rules. Don’t tell me any foods are off limits. Call it stubbornness, call it arrogance, call it refusal to let go of a baking addiction…the point is, I wanted to do it on my own terms. Also, on my bad days, I did NOT want to have to tell someone how bad I was. My shame is my own, thank you very much! But after four months of losing weight and two months of plateau-ing, (P.L.A.T.E.A.U. stands for Please Let my Attempts Take Effect…ARGH!! U’ve got to be kidding me! Really body? All this effort and the scale doesn’t budge?) I was ready for help. Loseit.com is a free, easy, online calorie diary of sorts. You know it’s quick and easy if a stay at home mom with four computer-crazy little kids can use it. When I sit down at the computer, I have about 70 seconds before the boys swarm all over me, asking for a turn. One of them will actually climb up the back of my chair and onto my shoulders. Anyways, you create an account, telling them how much you weigh now, your weight goal, and if you want to lose 1, 1.5, or 2 pounds a week. I love the realism here; notice that you may not choose to lose 20 pounds per week. 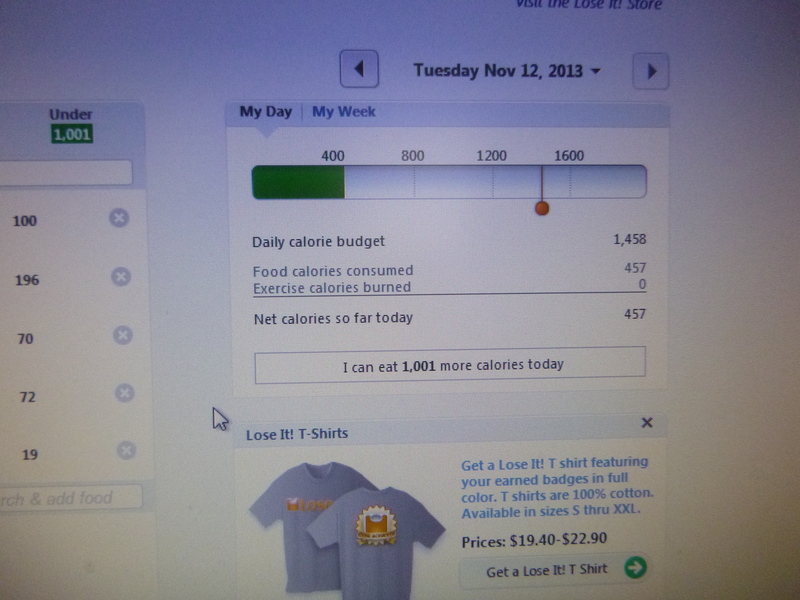 They calculate how many calories you should eat each day to reach your goal. You type in a food and it tells you how many calories that food has and adds it all up for you. So easy! No math skills needed! You can also create custom foods (such as a favorite homemade soup recipe or how you take your coffee) and name them. 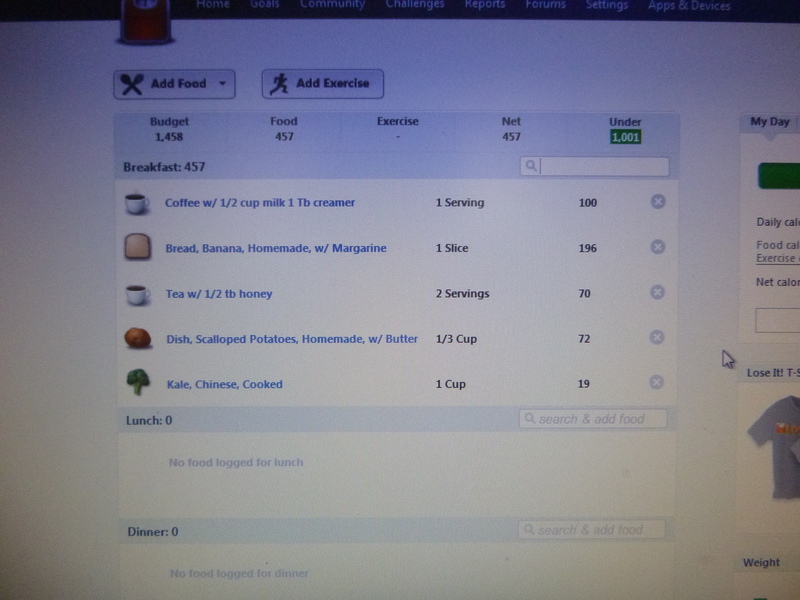 Whole meals can be repeated with one click; useful if you eat the same thing for breakfast five days a week (like coffee, juice, and oatmeal), and previous meals are automatically saved and available to add; useful if you have leftovers for lunch the next day or you cook similar dinners every week. 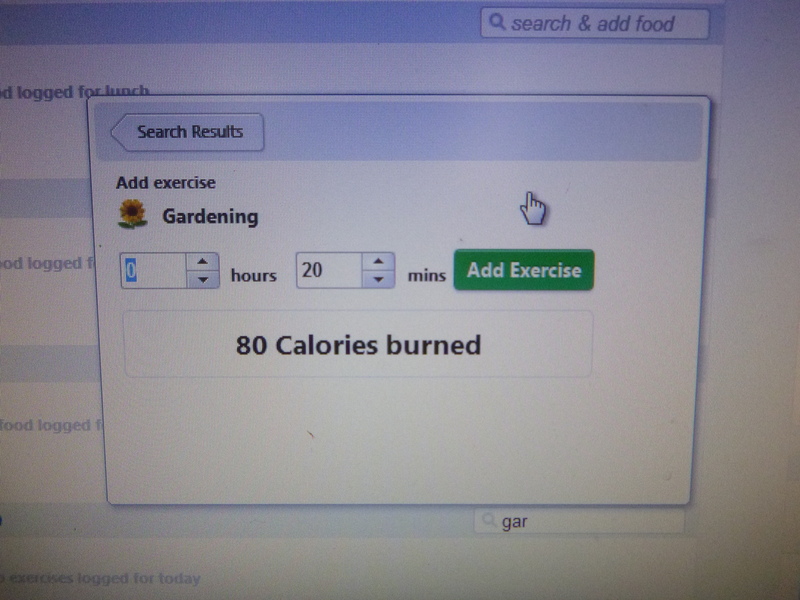 You can also enter any exercise you do which ADDS calories to your daily allotment. They even include housework and gardening. If there’s chocolate in the house, my home gets a good cleaning! Loseit even has a community feature where your friends and family can join as friends and see one another’s progress and leave comments. It’s a great way to stay encouraged and be held accountable….as much as you want to be! By the way, I am not being paid to talk about Loseit. I wish I were. If anyone would like to pay me, I would enjoy that. 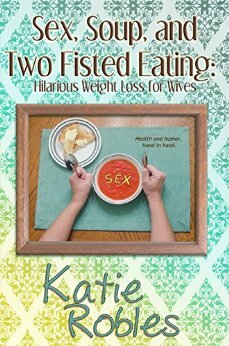 Imagine that you’ve lost fifteen pounds and need a new outfit to go out with your girlfriends. You have $80 to spend on clothes and your favorite brand of jeans is on sale for $40. At the store you find a fabulous shirt that you love, but it costs $60. If you buy the shirt, you can’t buy the jeans. So, you have to choose: marvelous shirt and mediocre jeans OR spectacular jeans and second rate shirt. No, put those credit cards back in your pocket! In this metaphor, debt turns into love handles! That’s what Loseit does for me; it helps me budget. I want to eat marvelous everything, all day, all the time. But that’s how I gained my weight in the first place. 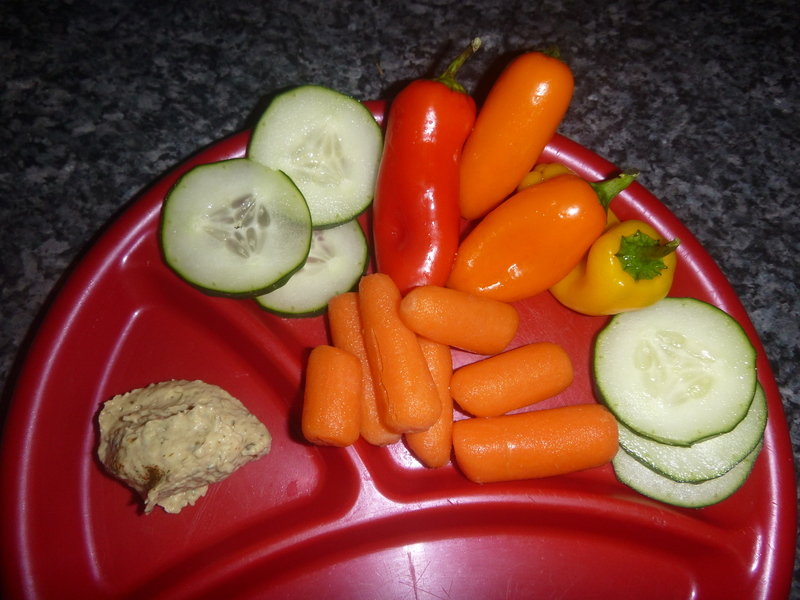 So, a budget example: After entering my breakfast, lunch, dinner, and exercise, I have a whopping 150 calories left for snack time. 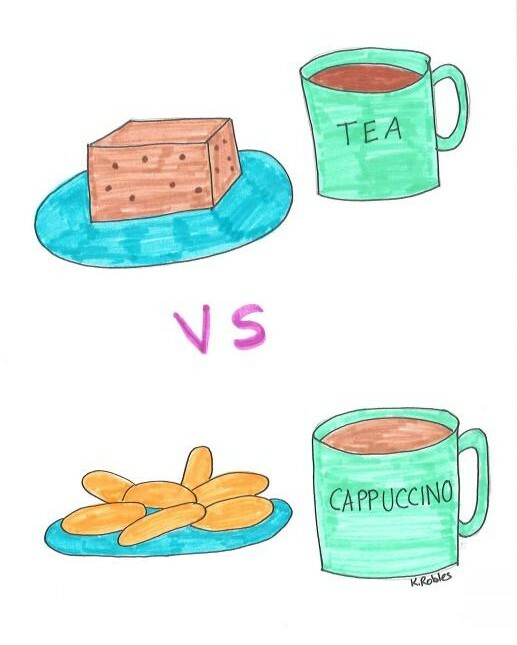 I want to have a brownie and a cappuccino, but I can’t do that and stay within my calorie budget, so I have to choose: a brownie and tea OR carrots and cappuccino. Loseit is not the only website out there, but it’s the one I know. The point is, at some point most of us will need some help, be it encouragement, accountability, or a dose of reality. So, when you’re ready, don’t be afraid to get help!